You might have heard about SharePoint, this collaborative platform made by Microsoft. Some colleagues or employees may have told you that you should consider integrating it to your workplace but you never looked it up? While describing all the possibilities of this limitless work tool could count as a 13th labour for Hercules, we will give you a pretty good overview of SharePoint's applications. Hi and welcome to another episode of Between Two Farms. In this episode, we'll talk about why use SharePoint. Hi, my name is Benjamin Niaulin. I'm a SharePoint MVP working all the way up here in Montreal at the Sharegate office. Why use SharePoint indeed, right?It's a platform. We've talked about it in another episode previously how it could help with startups, but why use this one, specifically? As the product changes, as SharePoint evolves and becomes even more mature as part of Office 365 withGroups for Office 365, with OneDrive for Business, the reason I recommend people go to or use SharePoint in many cases it's that one, it is a web platform. That means everyone in the organization can always access it with any browser today. So that is definitely amazing, especially since as we are going to 2015, we're seeing more and more of this bring your own device. People on Macs, people using Chrome, people using any other computer, not necessarily just Windows computer so we're very excited to see that mobility available in SharePoint, not just through theweb browser but all of the other apps that come with it to help you use SharePoint. Now the other reason why I would want to use SharePoint for my organization is we've got that platform perfect. But what can we do with it? The idea is that you can do anything, right? It's a platform. So if today you want to use SharePoint to build a team site and collaborate with your colleagues you can, but tomorrow using the same skills that you've learned. So you don't have to learn a new tool, a new program. With the same skills you've learned you can then build an Internet, a public-facing website. You can build an application, a CRM, though I won't necessarily recommend, there are already CRMs out there, but the idea is that you can really tailor SharePoint to your needs. 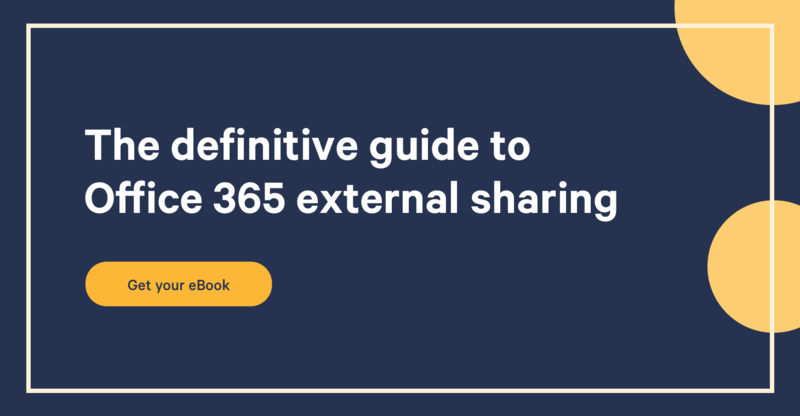 Now, what I love about that whole Office 365 story is that SharePoint is maintained by Microsoft, and that is, in itself, another one of the advantages because it works with all of the other products in the Microsoft Suite. So if you have Word or everyone's familiar with Excel, with PowerPoint, with the Office Suite, well, of course, it works with SharePoint natively and enables even more features. For example, you can actually have multiple people working on the same document at the same time. You can choose just a graph inside of that Excel. Just a pie chart, for example, and publish it as part of your web page in SharePoint. And all of this, of course, then available on your mobile devices from anywhere. The greatest story of SharePoint working with Office 365 and why you would want to use SharePoint is everything that comes around it using groups with Office 365 and my favorite these days, the whole OneDrive for Business story. OneDrive for Business allows a company to have or to give each individual employee or everyone in the organization a personal place in SharePoint, a OneDrive for Business. And there, they can store their files. If you want to see it it's kind of like the evolution of the My Documents folder people have on their desktop. The benefit is that whatever device they're on or if their laptop crashes someday, well they'll just go to their OneDrive for Business. Everything is there. It's web-based, and there's the apps for it. Why use SharePoint? It's web platform. You can access it from anywhere. It's part of the Microsoft Suite you benefit from everything that comes with it. Instant communication with Link, Skype, OfficeSuite combined into it. Having all of these things work together with SharePoint and then, of course, that whole mobility story and OneDrive for Business to bring and eliminate the whole on-premises desktop and really make it so it doesn't matter whether your colleagues or your employees have to have a desktop and migrate their profiles. It won't matter as much because lots and all of that information can now be stored up in the cloud or, of course, as always SharePoint on-premises for you. So check it out, and I'll see you in the next episode.